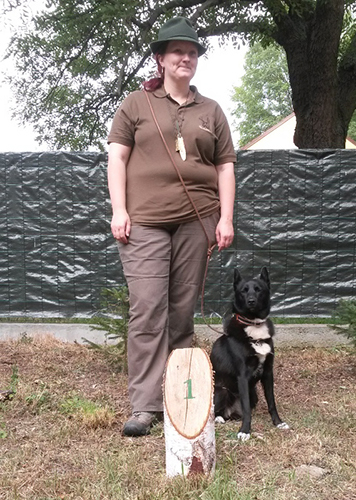 Šerri 1st merit, CACT -with this result she is now fully qualified for Czech Working Champion! 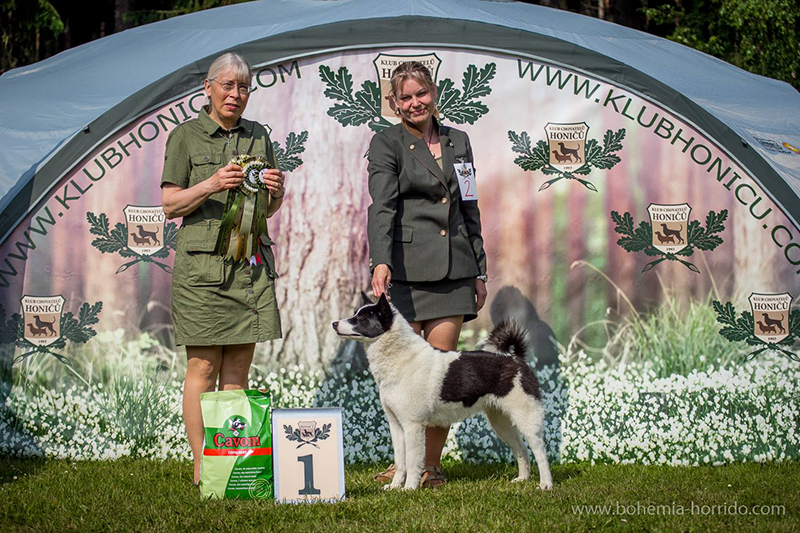 Šerri lst merit CACT - Winner of hunting tests (out of 13 dogs). Veronika's secret wish came true on these tests - to win at least once! And it happend but it was very tight, but history does not ask. 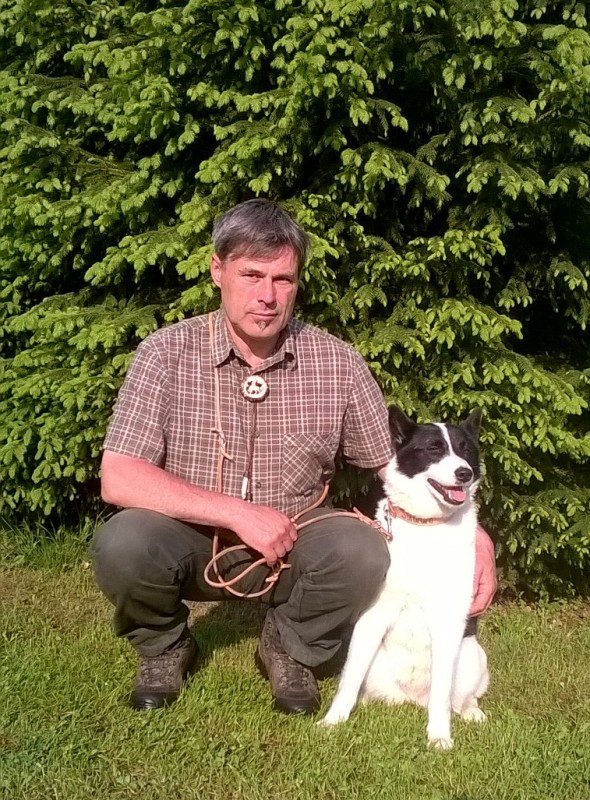 And so we have at home the very first laika, that won hunting tests, hopefully not the last one. 10.9.2016 - Last boy available. 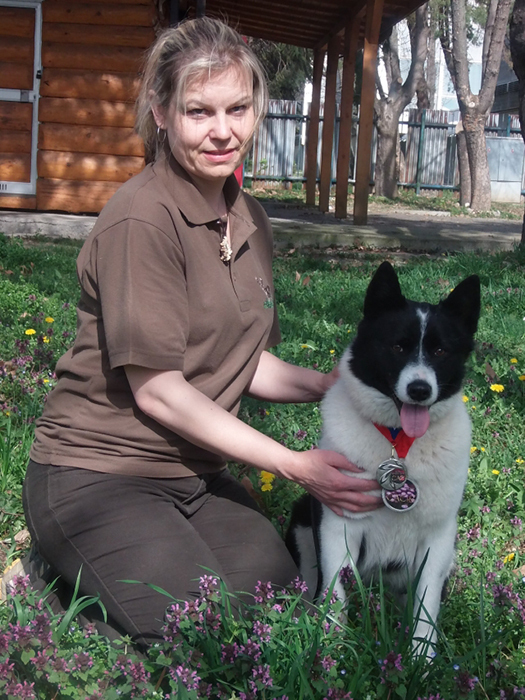 Dasty was booked to Slovakia, but his new owner didn't come for him. 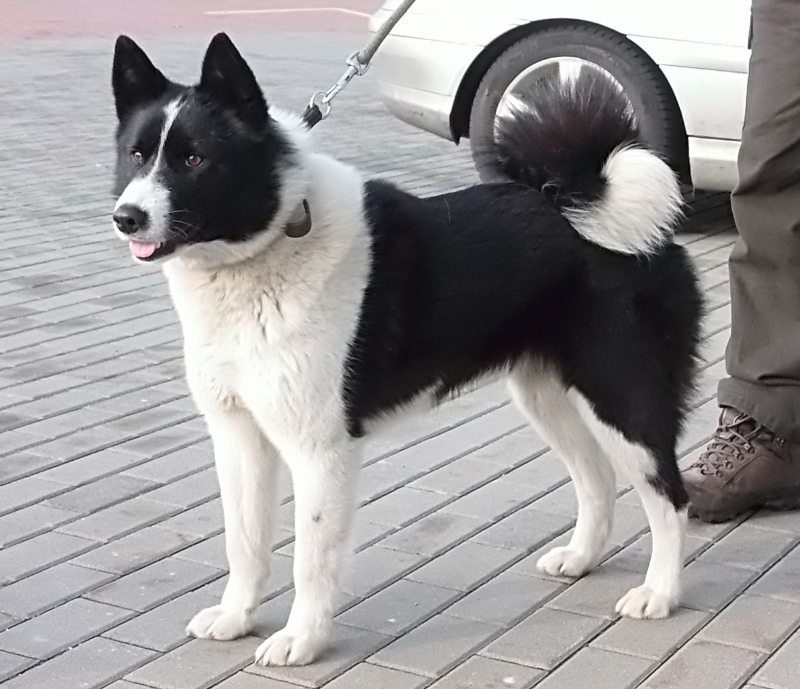 We are already now taking Dasty into forest, he is very active and very interested. 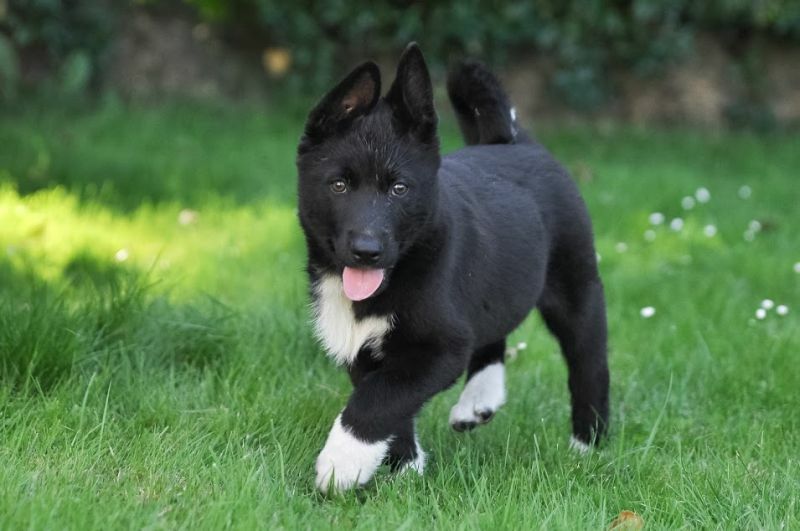 We are sure he will be great hunter, especially for varmints, wild pigs or suitable for very active family, that will provide him with enough of activities. 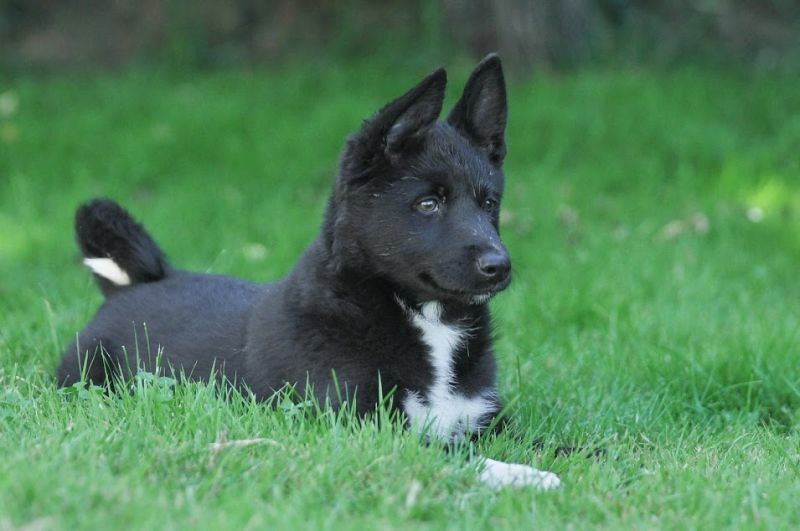 He is well socialised, unfearful and strong in bone. Had we not have Šaman, who is in training now, we would keep him for sure. 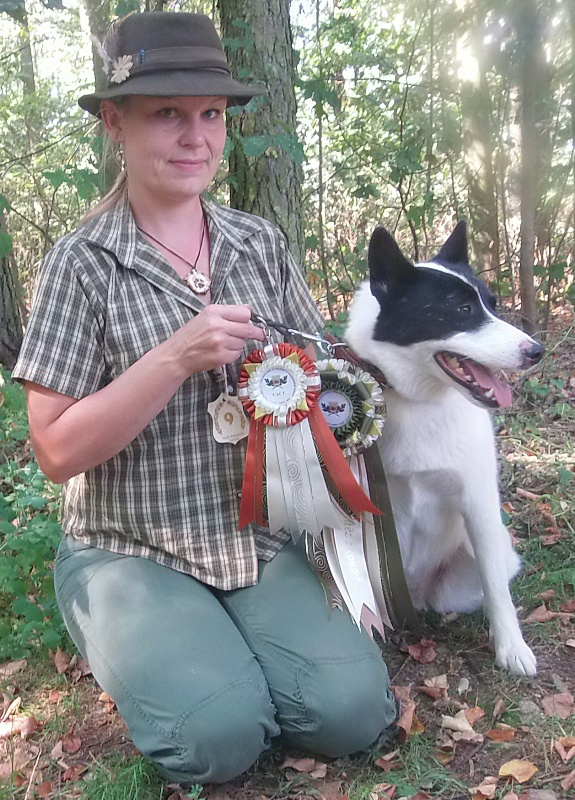 20.8.2016 - Clea ze Staré Moravy successfuly passed hunting test (ZVVZ) with 1st merit, and she is also qualified to became Czech Junior Champion. 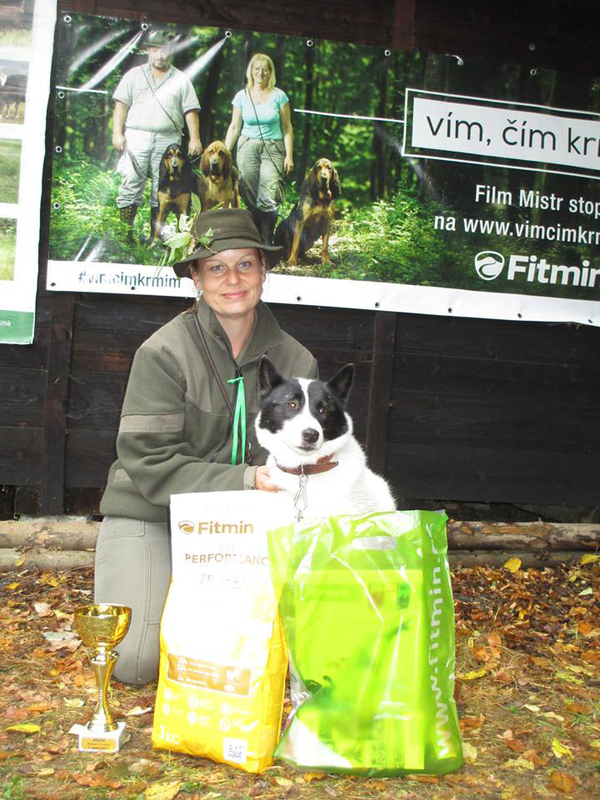 Huge thanks to Míše, for her activities with Clea and we cross fingers for more. 8.8.2016 - In section "Our boys" our newest member import from Russia, Šam, was added. 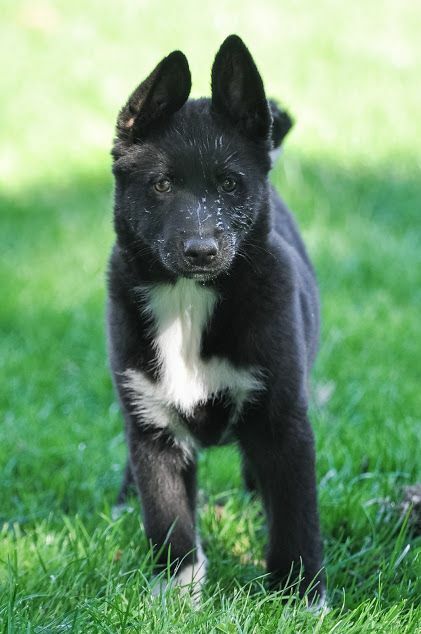 New photos in age of 5 week are here. 5.7.2016 - Photos of our puppies in age of 3 weeks. 20.6.2016 - Photos and names of puppies. 13.6.2016 - Russianeuropean laika puppies were born!!! 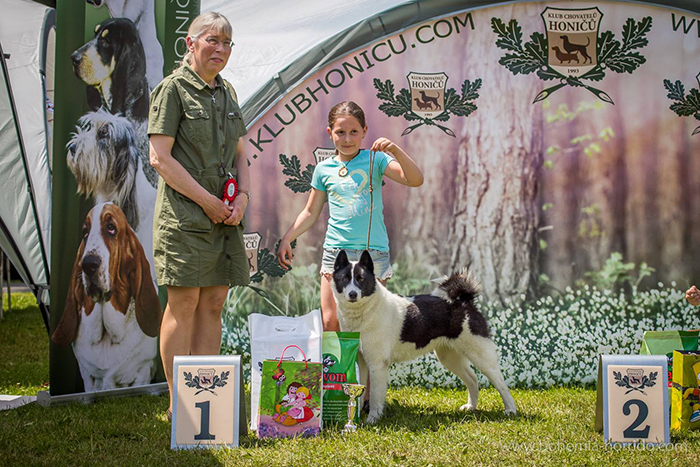 Nelinka together with Šerri participated in "Dog and child" competition and together they won. 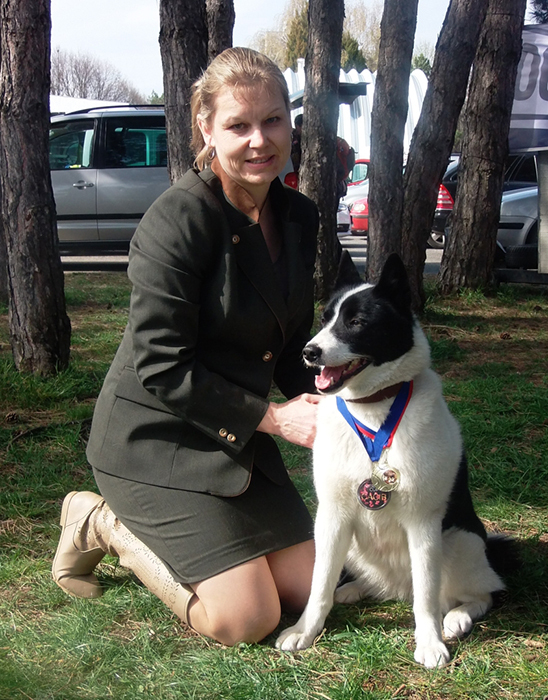 Šerri - winners class - Exc.1 CAC, BOB - Šerri is now fully qualified as the very first russian european laika for Czech Grand Champion. 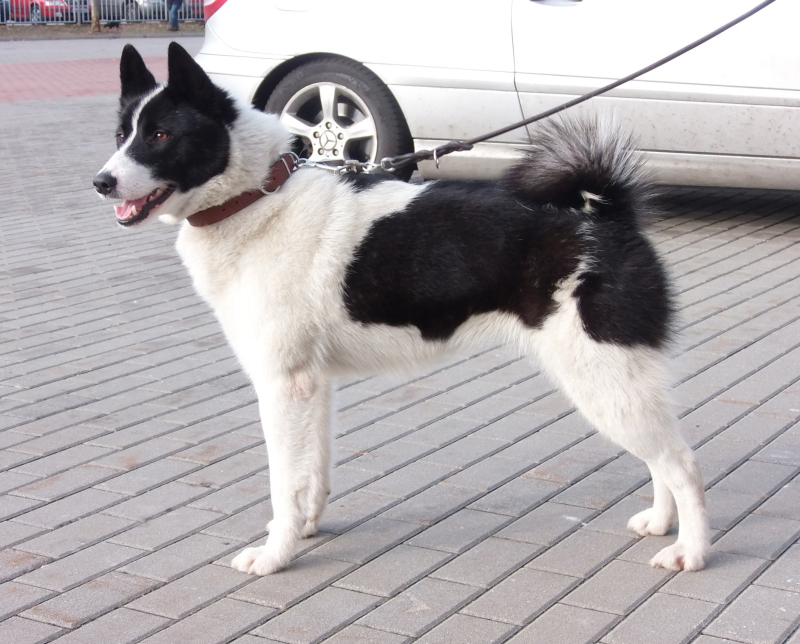 As we said before, we intented to import one more russian-european laika boy from Russia - the country of origin. Our wish came true and on 24th April we went to Estonia together with Jiří Dobeš, dipl.Ing. 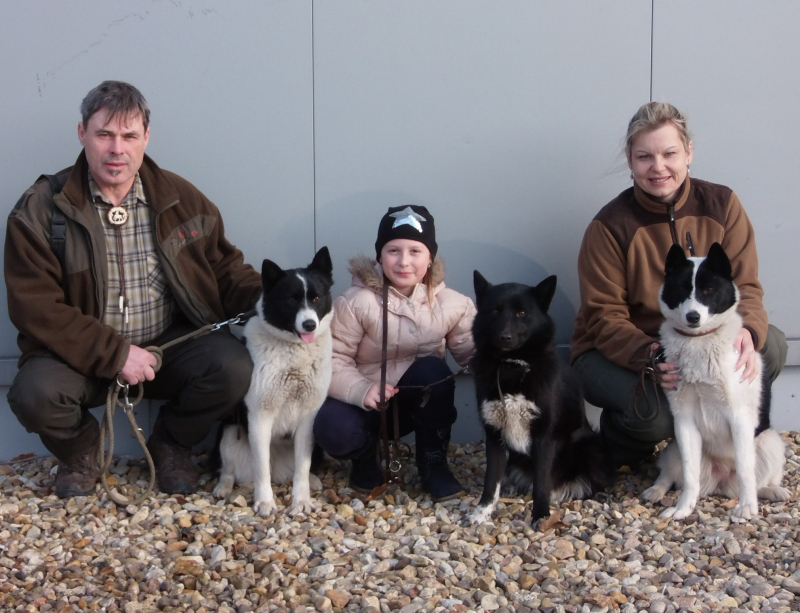 In town Narva we picked up two puppies - a girl for Jirka and a boy for us. All went smoothly and Šumka and Šaman and now in the Czech republic. 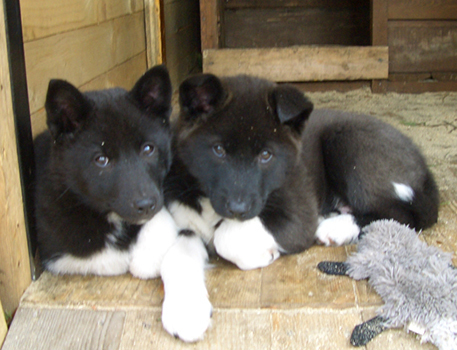 Puppies are from Zabělina, Jaroslav part of Russia. 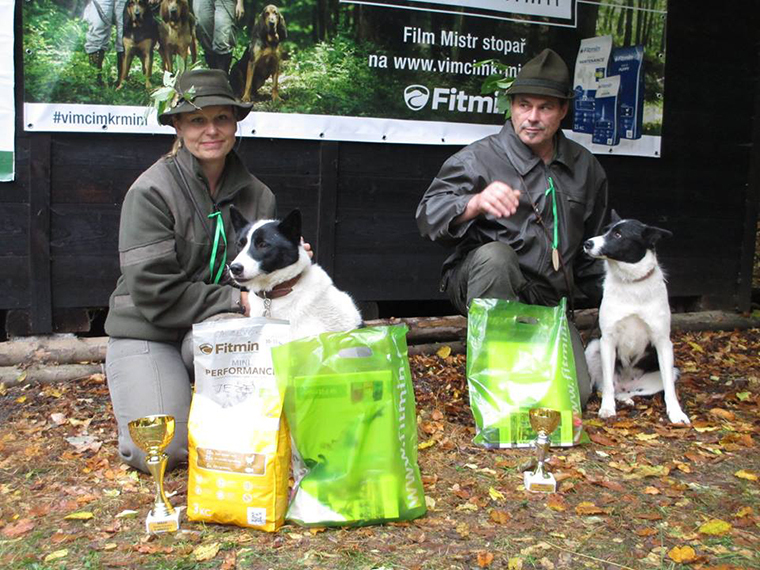 They are by elite parents - Emír and Čarodějka Zabělinsky, bred by I. 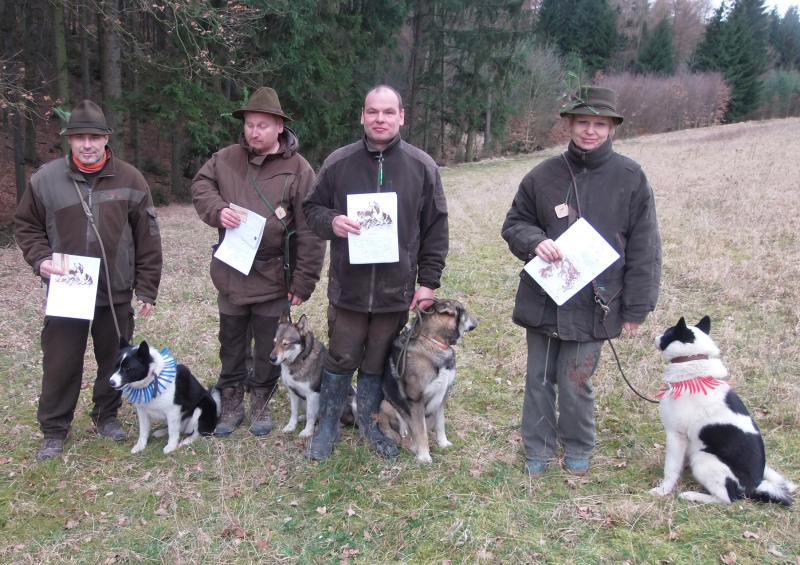 A. Osinov, who is a true hunter and all of his dogs are tested in practice hunt of boars, bucks and bears. We will be fine with them going after boars and varmints. 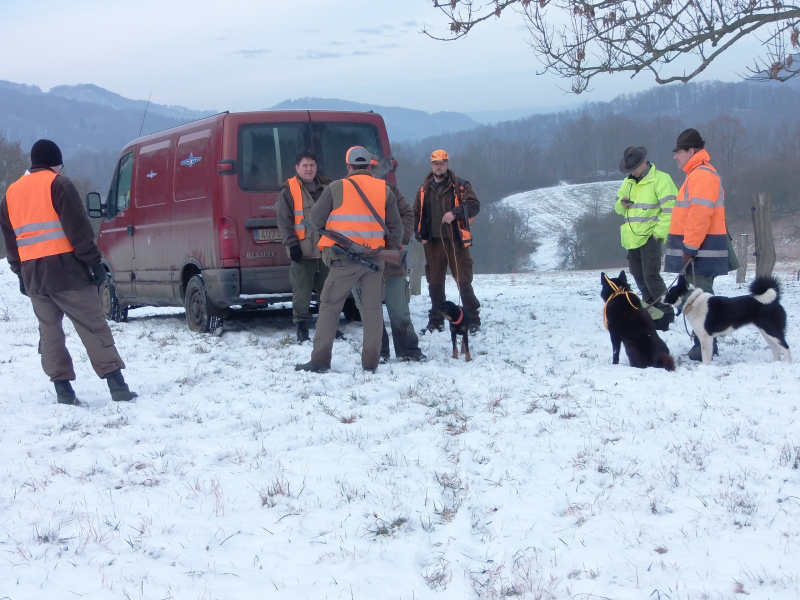 We will see during next hunting season. 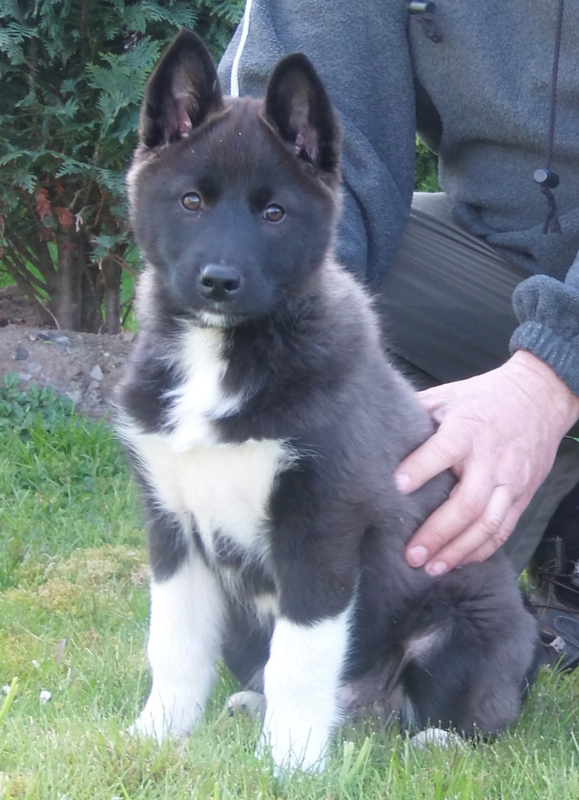 Our Irma was mated 14.4.2016 with Ego Bohemia Delikan (brother of our Engie). 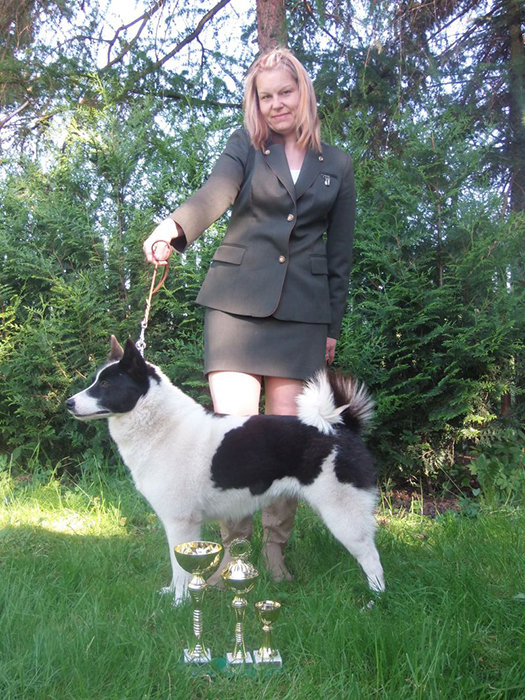 We choosed this this because so far he did not have chance to prive himself in breeding, he is also son of an excellent hunting dog Rusič and last but not leat he passed hunting test (on blood track) in 1st merit. 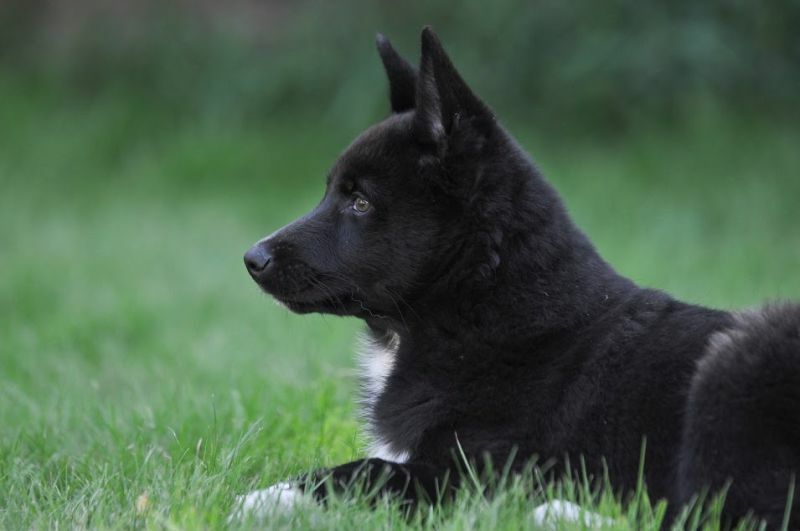 Ego is a male of strong bone, high selfconfidence, but easy to handle ( Ego's breeding check can be found here www.karelajky.eu). 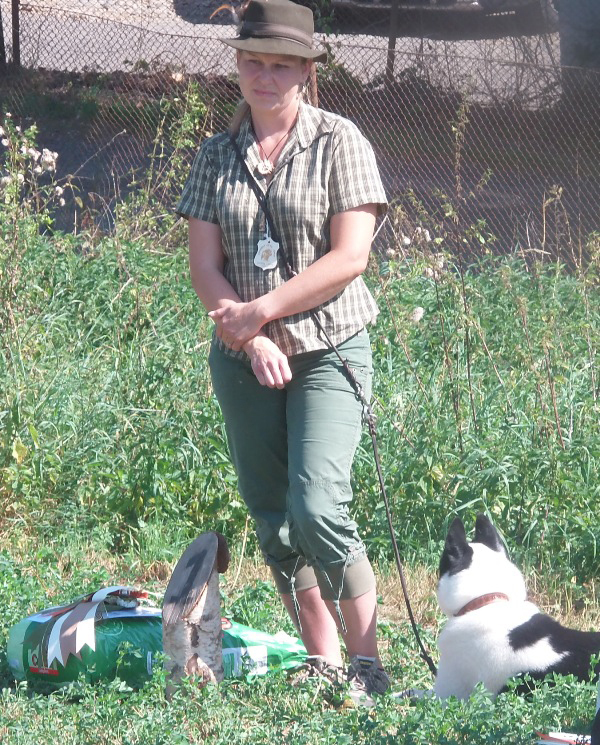 We initially wanted to mate Irma with polish dog Uran. But lately we have been very busy and due to unsufficient amount of time we decided for this option. Hopefully it will be a lucky one. 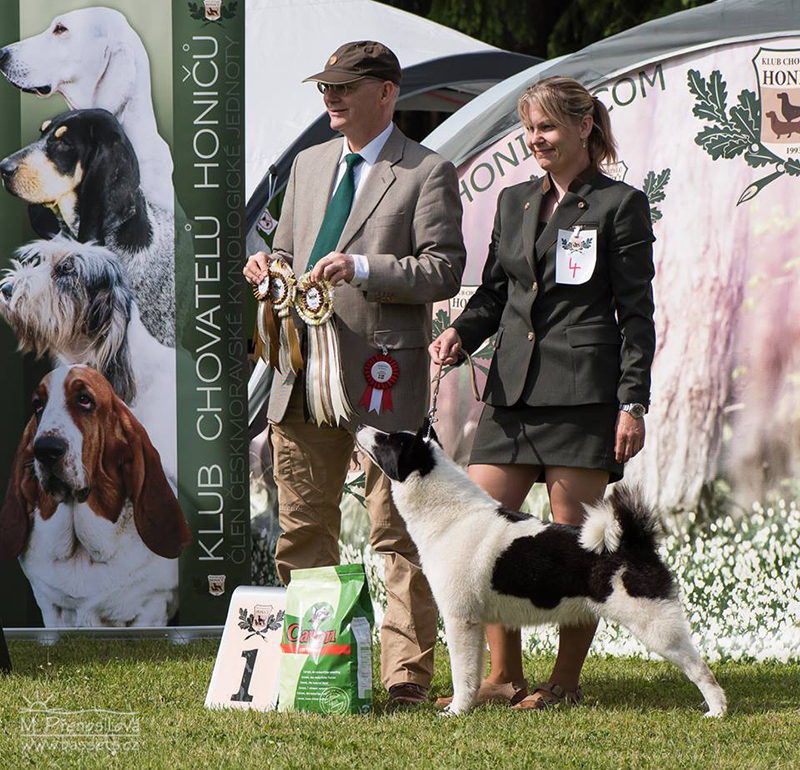 At this show all our girls qualified themselves for the title CZECH CHAMPION. 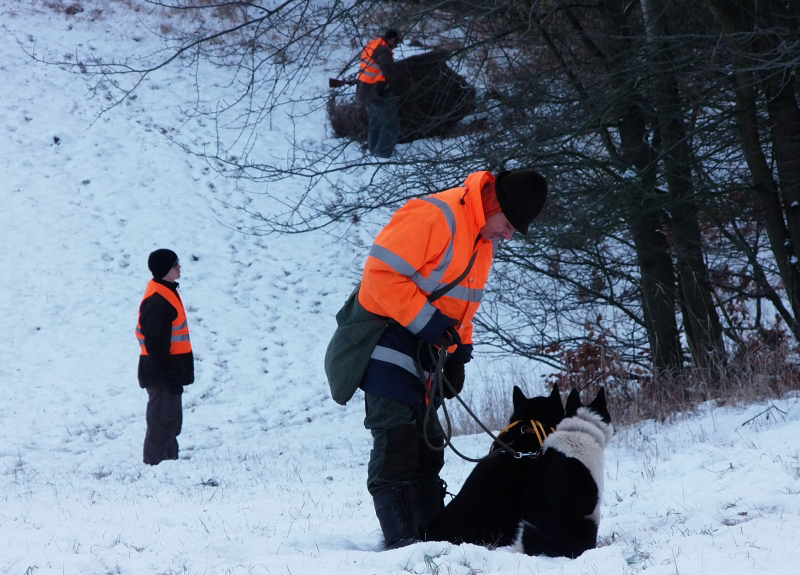 Without troubles this time it was also the only hunt in snow for us and also rich in animals. We will surely gladly come back.